<img src="https://ichef.bbci.co.uk/images/ic/1024x576/p0612y7y.jpg" width="95%"> <br/> <br/>- <strong><a href="http://www.bbc.com/news/uk-43396008" target="_blank">Stephen Hawking: Visionary physicist dies aged 76</a></strong> <br/> <br/><em>World renowned physicist Stephen Hawking has died at the age of 76. <br/> <br/>He died peacefully at his home in Cambridge in the early hours of Wednesday, his family said. <br/> <br/>The British scientist was famed for his work with black holes and relativity, and wrote several popular science books including A Brief History of Time. 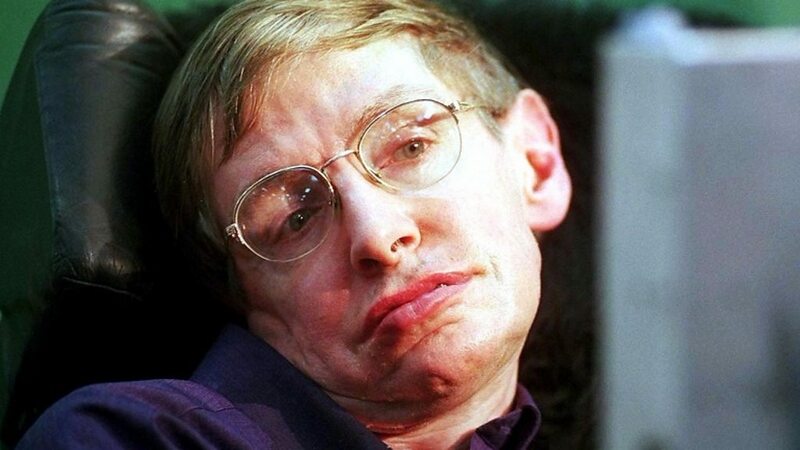 <br/> <br/>At the age of 22 Prof Hawking was given only a few years to live after being diagnosed with a rare form of motor neurone disease.</em> <br/> <br/>A giant of the modern science world! Transcended his field. Chances are if you don't really know Stephen Hawking the physicist - you know the pop culture icon. Being a frequent guest on The Simpsons probably doesn't top his achievements -- but it speaks to his incredible ability to be an ambassador for science and thinking. <br/> <br/>A huge loss for the world. Felt like we should at least acknowledge the passing. <br/> <br/>If you're interested in his science, there's a nice <a href="https://www.theguardian.com/news/video/2013/sep/19/stephen-hawking-history-time-simple-video" target="_blank">video on The Guardian</a> summing some of it up. A giant of the modern science world! Transcended his field. Chances are if you don't really know Stephen Hawking the physicist - you know the pop culture icon. Being a frequent guest on The Simpsons probably doesn't top his achievements -- but it speaks to his incredible ability to be an ambassador for science and thinking. A huge loss for the world. Felt like we should at least acknowledge the passing. If you're interested in his science, there's a nice video on The Guardian summing some of it up. Oh wow, I never realized the man was that old. In any case, Rest In Peace. damn, I can no longer say the smartest person to ever grace this planet is living among us. R.I.p.